Meet the most flexible grid builder! 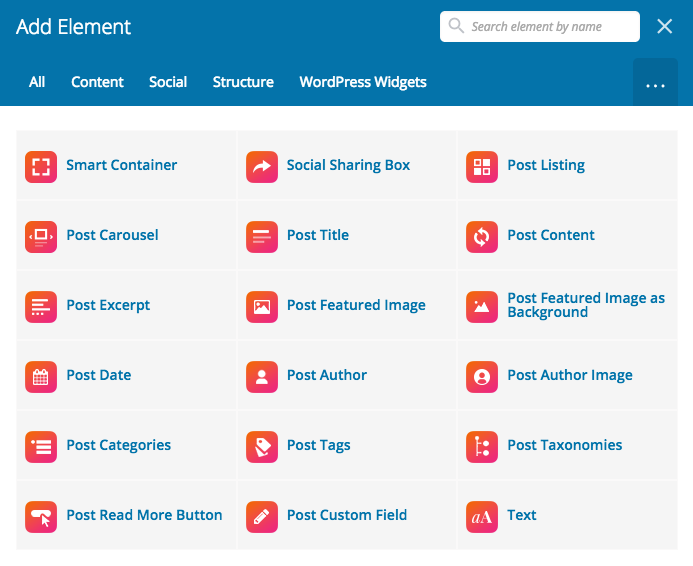 Smart Grid Builder is a WordPress Plug-in that you can visually create & customize card designs for your post listings. 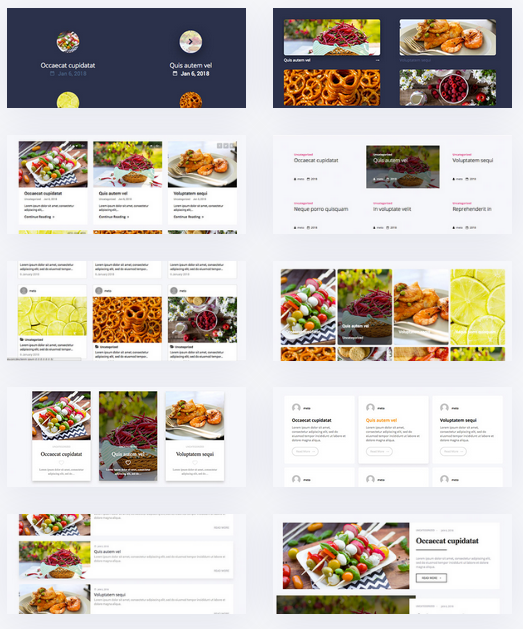 You can create listing card designs with Smart Grid Builder’s dynamic post shortcodes. 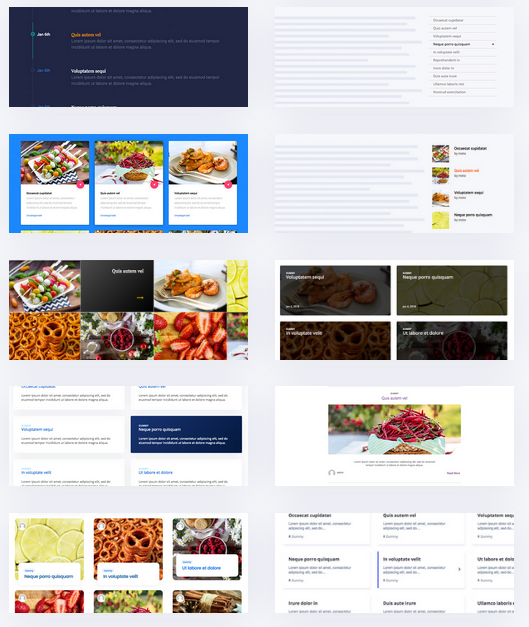 We have created special shortcode elements, so you can design your own grids freely and visually with the WPBakery Page Builder interface..
We have created WPBakery Page Builder a.k.a. 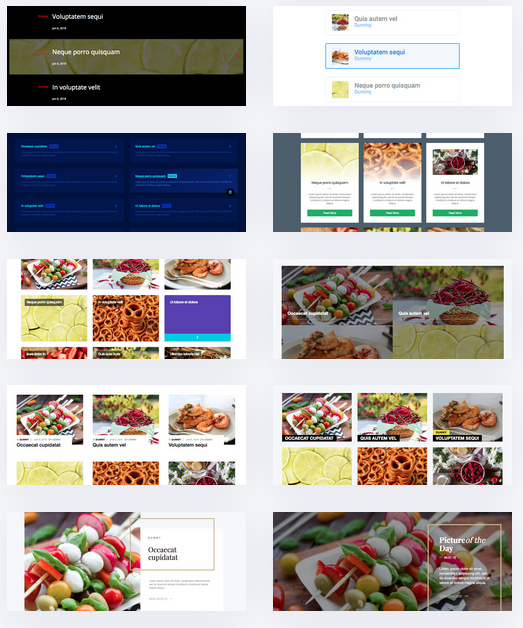 Visual Composer specific dynamic elements for you to design any part of your grid designs with shortcodes. 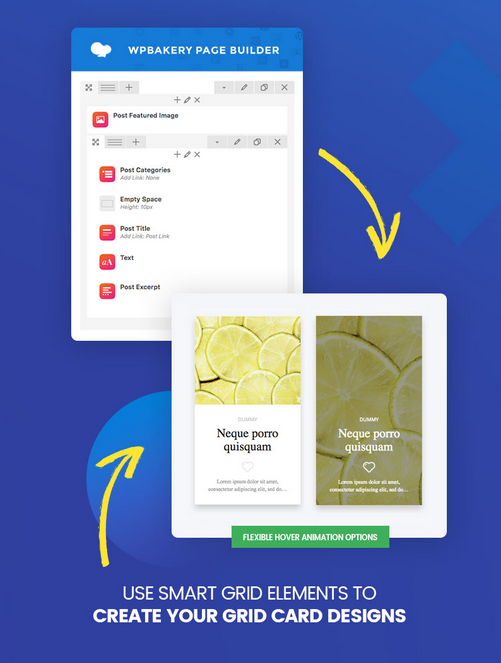 You can show or hide any of the elements on hover or set hover animations to create more interactive card designs. 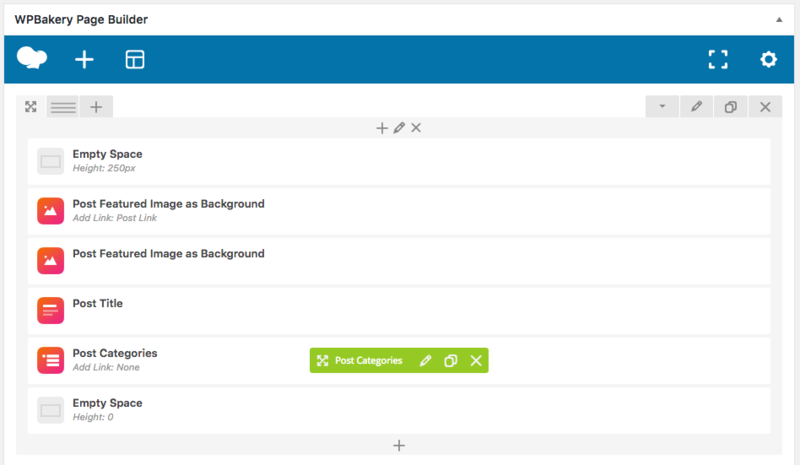 With the ‘Post Listing’ shortcode, you can create grid or masonry style post listings with advanced data options. 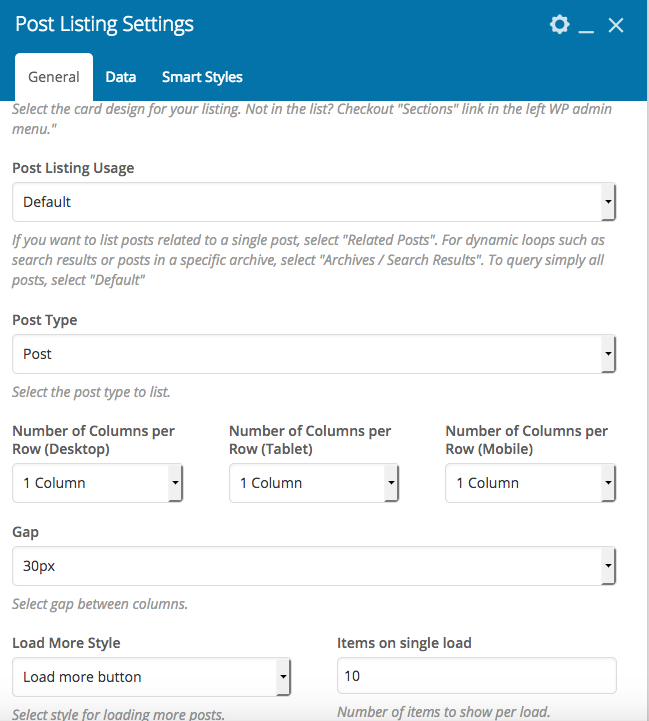 You can dynamically load more of your content with a button or only with scroll. Or you can create reponsive touch sliders with your posts, thanks to the ‘Post Carousel’ element. You can use Smart Grid Builder for any post type such as posts, pages, portfolios, products, testimonials etc. 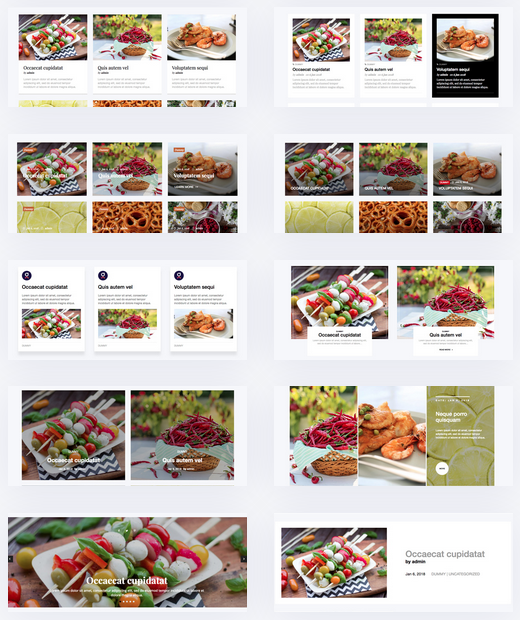 We have created 40 different grid demos for you to import with a single click and start using right away or customize according to your requirements. 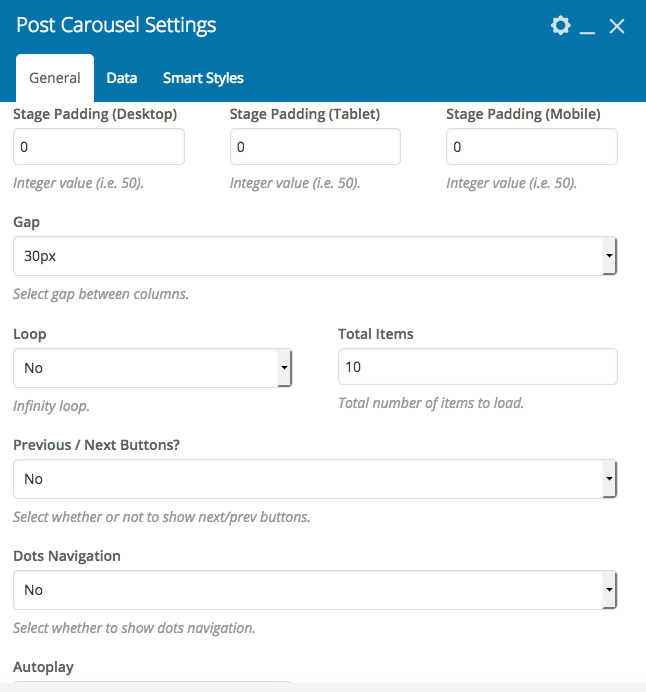 Scroll down to see the awesome grid desings you can make with Smart Grid Builder.